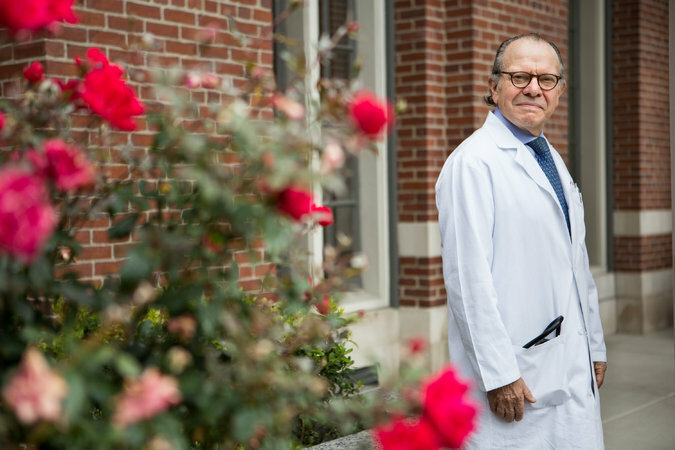 Dr. Marc Alan Pfeffer, a cardiologist at Brigham and Women’s Hospital and professor of medicine at Harvard, said he would now feel obligated to help patients lower their blood pressure even further after the results of a federal study. 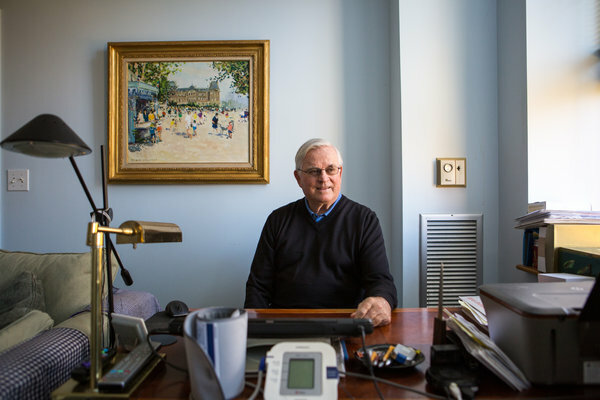 Credit Charlie Mahoney for The New York TimesWhen the federal government announced in September that it had abruptly halted a large blood pressure study because its results were so compelling, doctors were left in frustrating limbo.The announcement said researchers had found that driving systolic blood pressure to levels far below what current guidelines recommend — less than 120 instead of 140 or 150 millimeters of mercury — can save lives and prevent heart disease and strokes. But they declined to release any data on the number of lives saved, the number of heart attacks prevented or other critical measures. “How can anyone do anything different tomorrow with regard to blood pressure control without knowing more about what they found?” asked Dr. Harlan Krumholz, a cardiologist at Yale, echoing the concerns of other specialists. On Monday, reporting at an American Heart Association meeting in Orlando, Fla., and in a paper published simultaneously in The New England Journal of Medicine, study investigators lifted the veil. Among the 9,361 hypertension patients followed for an average of 3.2 years, there were 26 percent fewer deaths (155 compared with 210) and 38 percent fewer cases of heart failure (62 compared with 100) among patients who achieved the systolic pressure target of 120 than among those who achieved the current 140 target. Systolic pressure is the higher of the two blood pressure numbers and represents pressure on blood vessels when the heart contracts. Over all, there was a 24 percent reduction — 243 compared with 319 — in people who had a heart attack, heart failure or stroke or died from heart disease, Dr. Paul K. Whelton, a principal investigator for the study, said. The older participants did just as well as younger ones. For millions of Americans with high blood pressure, the results could be transforming, said Dr. Marc Alan Pfeffer, a cardiologist at Brigham and Women’s Hospital in Boston who was not affiliated with the study. Jackson T. Wright Jr., a blood pressure expert at Case Western Reserve University and University Hospitals Case Medical Center as well as a Sprint study investigator, said changing blood pressure guidelines could cause the falling death rate from heart attacks and stroke to drop even more. Lower Blood Pressure Guidelines Could Be ‘Lifesaving,’ Federal Study Says SEPT. 11, 2015Glenn Lorenzen at church in Weymouth, Mass., in 2014. At least 17 million Americans will be affected by the findings right now, calculated Paul Muntner, an epidemiologist at the University of Alabama who was not affiliated with the study. The study, called Sprint, enrolled patients ages 50 and older with high blood pressure. The patients also had at least one other risk factor for heart disease like smoking or a high cholesterol level, or they had kidney disease, or they were simply over the age of 75. Half were assigned to a systolic pressure target below 140, in keeping with today’s medical practice. The rest were assigned a target pressure of less than 120. Doctors have long wrestled with how low blood pressure should go. Bringing it too far down, particularly in elderly people, can result in complications like dizziness and fainting. According to the results released Monday, about 5 percent of the study’s patients, or 220 people, with the 120 blood pressure target had serious complications over the course of the study — blood pressure so low it caused severe dizziness or fainting, or a reversible injury to the kidneys. Among those with the 140 target, 118 had serious complications. A complication the investigators worried about with blood pressures of 120 or lower — an abrupt drop in blood pressure when people stood up — actually occurred more often in those with the higher systolic pressure target. “When we put those complications in the context of a 27 percent reduction in total mortality, it seems that the benefits outweigh the risks,” said David M. Reboussin, a biostatistician at Wake Forest Baptist Medical Center and a principal investigator for the study. What is most remarkable, researchers said, is that the improvements in death rates and rates of heart attacks occurred on top of improvements these patients already experienced as their blood pressures fell to 140. To get their systolic pressures to 120, patients took an average of one additional blood pressure drug — 2.8 pills instead of 1.8. Almost all blood pressure pills are inexpensive and available as generics. It is now up to committees that formulate national guidelines to decide how to change their recommendations. Dr. Whelton, chairman of the heart association’s guidelines committee, said his group would meet on Monday night to consider the new data. One issue is what to tell patients with diabetes, who were not included in this study. A previous, much smaller study with diabetics that tested stringent blood sugar control along with a blood pressure of 120 found no reduction in heart attacks or deaths. But many researchers are not convinced that the study, called Accord, proved that lower systolic pressure failed to help people with diabetes, because it was so much smaller and because blood sugar control was also being tested. William Dougherty, 77, has a family history of heart disease. With medication, his systolic pressure is reliably under 140. Wait, they did all this with drugs? What about diet? What about exercise? Eh Watson Well, if Martin Shkreli is reading this article, you can bet that blood pressure meds will soon cost $7,000 per pill. Another question is what to advise people under age 50 and those over 50 with no risk factors other than high blood pressure. “That will be a judgment call,” said Dr. Jackson T. Wright Jr., a study investigator who also is on the guidelines committee and who directs the hypertension program at University Hospitals Case Medical Center in Cleveland. There also is the unanswered question of how low blood pressure should go. A few patients in the new study lowered their systolic pressure to 110, but getting it below 120 was a challenge for most people. Dr. Wright said it was almost inconceivable that there would be another large study comparing, say, a pressure of 110 to one of 120. “That is a very narrow window,” he said, and the expected differences in outcomes would be small, meaning the study would have to be very large and prolonged. Even if the guidelines end up recommending a goal of less than 120 only for people like those in the study, doctors will face a challenge, said Dr. Aram V. Chobanian of Boston University Medical Center, who wrote a commentary in The New England Journal of Medicine. A third to half of all patients fail to meet even the current blood pressure goals of 140 to 150.Some hypertension experts urge caution. Dr. Michael Alderman, a blood pressure expert at Albert Einstein College of Medicine in the Bronx, calculated that the study results mean six people per 1,000 annually would avoid a heart attack, stroke, or heart failure. Dr. Krumholz of Yale said that while the study results were exciting, a lower blood pressure should not be seen as a mandate. Getting pressure that low, he said, “comes at some risk.” Doctors will have to talk to patients about their preferences and goals, he said. Dr. Pfeffer said the next challenge was to have these discussions with patients, but he said he was ready to start recommending a goal of less than 120 to appropriate motivated patients. One of his patients, William Dougherty, 77, is ready. Mr. Dougherty, who lives in Boston, says he is healthy and his blood pressure has been controlled with one pill so it is reliably under 140. But he has a family history of heart disease, and that scares him. This entry was posted in Uncategorized and tagged Blood pressure, GL-W, Greg_L-W, Grerg Lance - Watkins, Heart Attacks, Strokes, Systolic Pressure. Bookmark the permalink.